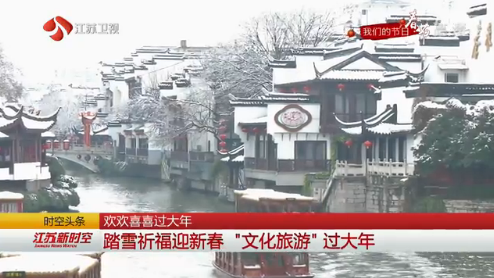 As a Chinese saying goes, a fall of seasonal snow gives promise of a fruitful year. 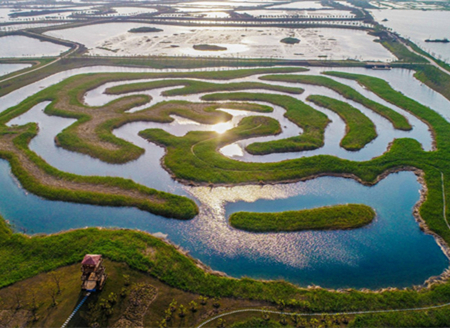 The land of Jiangsu is enveloped in a different kind of beautiful scenery after the first snowfall of the lunar new year. People from all over the province are continuing to celebrate the spring festival by visiting lantern festivals and striking the bell to experience the Chinese New Year. On the morning of the fifth day of the Lunar New Year, the freezing cold could not stop everyone from going out to enjoy the snow. 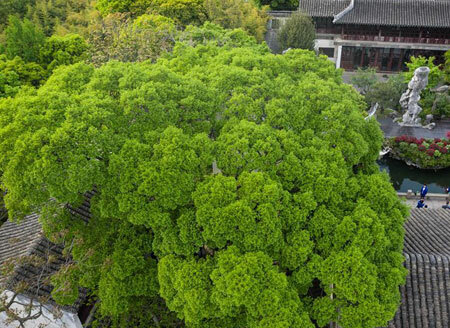 The Confucius Temple in Nanjing saw the endless flow of visitors with many of them traveling from afar to experience the different sceneries of the culture unique to the southern areas of the Yangtze River. 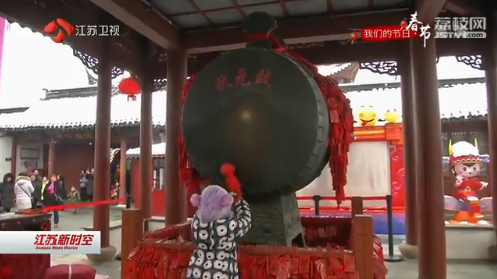 In the Dacheng Hall of the Confucius Temple, many families were seen striking the peace bell to pray for their children’s academic success and family health. In a creative culture shop inside the Confucius Temple, the visitors were amazed by the seals carved out of 30,000 Chinese characters in the character bank. 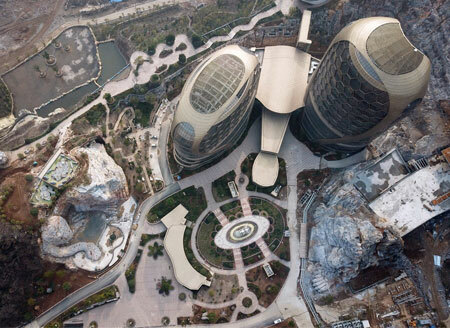 They were allowed to scan the WeChat account to locate their names to get a deeper understanding of the stories and the cultural charm of the Chinese characters.These colorful cultural creations were loved by the tourists as they combine the beauty of Nanjing with culture and history and practical functions. Early in the morning, the fishermen on the Hongze Lake in Huai'an city struck the bells of the god of wealth to pray for harvest in the coming year. 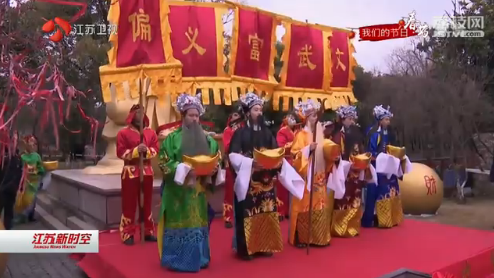 A grand ritual ceremony was held in Shennong Culture Square, Mazhuang Village, Jiawang District, Xuzhou City. 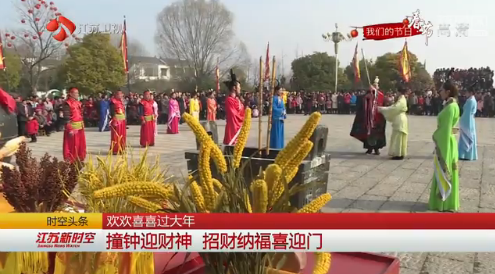 The villagers, wearing Han Chinese clothing, took Han ethnic rituals and worshiped Shennong, the ancestor of the Chinese ancestor, and prayed for the good weather and the peace of the country. 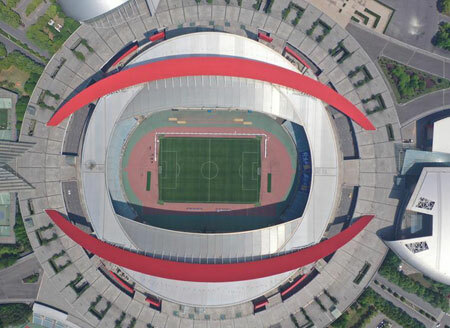 In the village administration square, the annual farmers’ sports meet were immersed in a festive atmosphere of joy and peace. 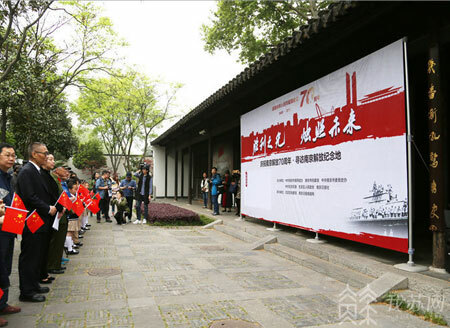 In the Mazhuang Herbal Sachet Cultural Courtyard, the 2nd Sachet Culture Festival attracted many tourists. 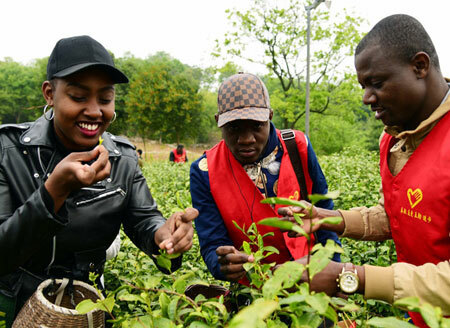 The fragrant sachets filled with herbs of the traditional Chinese medicine stole the limelight in December 2017 when General Secretary Xi Jinping’s paid a visit to Mazhuang Village during his inspection tour to Jiangsu. In Zhouzhuang, the famed water town in Suzhou, the villagers were dressed up in ancient costumes to worship the God of Wealth, burning the incents and pray for a new year of peace and harmony, displaying the local cultural tradition in front of the visitors from all over the world.